This version has been updated silently, without a change to the posted "last modified" date. This means that without ParanoidPaul, you wouldn't have known the document was updated! The date displayed for this row is when ParanoidPaul detected the change. Jul 6, 2018 A new section about giving feedback to Ancestry has been added. Jun 5, 2018 Changes under "Additional Terms Applicable to Your Use of DNA Services". This version has been updated silently, without a change to the posted "last modified" date. This means that without ParanoidPaul, you wouldn't have known the document was updated! The date displayed for this row is when ParanoidPaul detected the change. Feb 4, 2018 Several terminology changes throughout; Terms updated under "Content Used in the Services". May 22, 2017 Changes to "Your Use of the AncestryDNA Website", "The AncestryDNA Service", "Additional User Information", and "User Provided Content". This version has been updated silently, without a change to the posted "last modified" date. This means that without ParanoidPaul, you wouldn't have known the document was updated! The date displayed for this row is when ParanoidPaul detected the change. Feb 25, 2015 Part of a sentence removed in section 3, "The AncestryDNA Service". This version has been updated silently, without a change to the posted "last modified" date. This means that without ParanoidPaul, you wouldn't have known the document was updated! The date displayed for this row is when ParanoidPaul detected the change. Dec 31, 2014 Minor phrasing change under section 3, "The AncestryDNA Service". These Terms and Conditions apply to users visiting or registering on or after March 20, 2013. 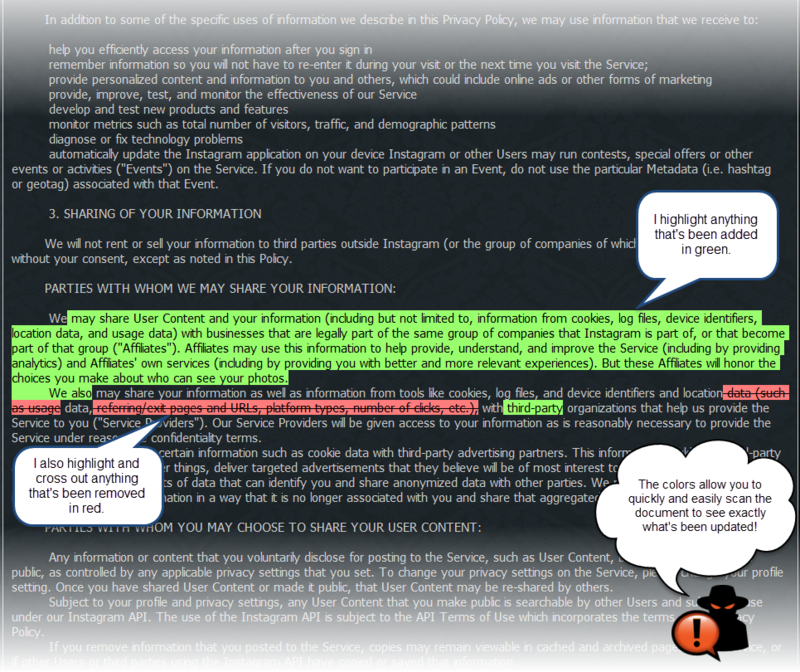 For existing Users (as defined below), these Terms and Conditions will become effective on April 20, 2013. For the previous version of the Terms and Conditions, please click here. Before using this website, ordering a DNA testing kit or having access to the results of the DNA testing, you must review and accept this Agreement which defines your rights and responsibilities as a user of the website and DNA testing service ("User") operated by Ancestry.com DNA, LLC ("AncestryDNA" or "we") and located at AncestryDNA.com or via the section of Ancestry.com's website located at dna.ancestry.com (the "AncestryDNA Website"). The AncestryDNA Website is operated and services are provided in the United States of America. DNA testing and access to the AncestryDNA Website are governed by this Agreement, which, in turn, is governed by the laws of the State of Utah and the United States. Registering as a User and having DNA tested as a part of this service results in your personal and genetic information being stored and processed in the United States, and you specifically consent to AncestryDNA's storage and processing the DNA and other personal data you submit. The AncestryDNA Website and services provided herein are intended for adults. If any minor gains access to the AncestryDNA Website, the parent or guardian of that minor will be held strictly responsible for that minor's actions. If you submit a DNA sample of a minor, you must represent that you are the minor's parent, legal guardian and/or have explicit permission from the minor's parent or legal guardian. If you do not agree with any provision of this Agreement, or if you have any objections to the AncestryDNA Privacy Statement, you must not use the AncestryDNA Website or be a User.